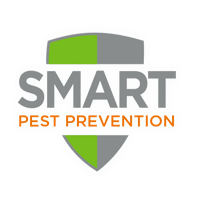 SMART Pest Prevention is Hawaii’s most responsible termite and pest prevention company made up of professionals who care about taking care of our customers. We don’t do what everyone else does—We don’t tent. And we do what nobody else does—We kill termites and prevent their return. We use technology in smart ways to find pests, we use nontoxic treatments whenever we can. We use radar, audio, and thermal technologies, and use orange oil to kill them where they are. Then our permanent, proactive SMART Shield Service prevents them from coming back, GUARANTEED. We started here, in Hawaii, in 2013 on the idea that better service and better technology would create a better pest control company. In fact, our business has grown largely on the basis of friends telling friends—we’ve found that almost half of our customers came to us as referrals from other customers. We think we have a lot to prove. And we’d like to prove it to you. We needed termite treatment in several places in the condo and several weeks later no sign of termites. Great work by smart. We are very please with the seevice provided by Gabe and Mondo. They were thoroughly professional, explained everything and answered all our questions clearly and knowledgably. The installation of the shield was done very cleanly. When they were finished , you would never know they had been in the house. The spraying and distribution of granules outside was similarly clean and efficient. Even the rodent traps were placed in inconspicuous places in the plantings and are completely conceled from view. We cannot recommend Smart Pest highly enough! Always knowledgeable, capable and pleasant service guys. Gabe never ceases to amaze me with his knowledge of insects. I always learn something new. Great, friendly service, will definitely use them again! Scott, as usual, was on time, very professional and made sure everything was put back in its proper place. Have not seen any bugs or termites since our service. Leland and Scott were both wonderful to work with in treating our termite problem. Both were knowledgeable, friendly, and professional. So far, the treatment seems to be effective. Thank you! Their customer service specialist is very helpful, knowledgeable and informative. Did not have an outrageous wait time to get an appointment. Will use services again. The Smart Pest team is thorough, professional, friendly, and very responsive to our needs. The two young men who came out did an excellent job of inspecting and treating both the interior and exterior of my house. I thought they were very professional and I was very pleased with their expertise and work. Thank you. The pest control person (Mr Regohos) came on time, was very nice and respectful. He is very thorough, asked questions and explained the process very wrll. I have dealt with a lot of pest control companies in the past, but none of them could do the exceptional job in one of my units that was filled with a huge roach problem as Smart Pest! Defineately worth it. The serviceman was pleasant and knowledgeable. So far so good. Thanks. Kirk. Great communication with Donell in office and with field technician (last visit, Jeremy called first thing to say he was running late). Gabe and David were polite, professional, and took the time to answer my questions with explanations I could understand. Outstanding! Termites flourish in untreated lumber. If you have any in your home they will find it eventually. OU home built in 2011 had one 1x2 furring strip that was used to install the counter top. Termites found it then Smart Pest Control located and treated the wood. It took about 1 hour to inject the wood and 24 hours for the citrus scent to dissipate. The multiple injections were entirely under and inside the the counter space. We took the time to clean and repaint these areas 24 hours after the treatment. Every thing looks new at this time. The home inspection for free and comprehensive. The chemicals used are safer than most pesticide products from a hardware store. Our technician was on time, professional and very friendly. They use a non-toxic product with no smell. You don’t even have to leave your house after the treatment is finished. We were very pleased with Gabe’s professionalism and the thoroughness with which he performed his duties. Thanks for a great job, Gabe! So far, we haven’t seen any termites since the treatment. Mikey really did a great job, he answered all my questions n did a thorough job, I'm very happy with the job n his professional service. I am so happy to find an effective, non-toxic way to protect my home against termites & other bugs. Everyone should be choosing this method! The thoroughness & level of commitment to protect my home is stellar! Highest praises to the team....thank you Jeremy, Todd & Mike for answering all my questions and doing such an excellent job! Thank you for promptness servicing us. Scott is always friendly and informative. Thanks for the responsive service. Leland always goes the extra mile! thank you! Josh was great please make sure he is set to come back for next treatment thank you. The gentlemen were right on time and got right to work. service technician Michael Regohos very helpful and he did a tremendous job. Gab was very meticulous & knowledgable. Answered all my questions & was very polite. Gabe was very professional and knowledgeable. He explained exactly what he was going to do and why. He went over and beyond to crawl in the attic and reach places that was hard to get to. He was very thorough and demonstrated good public relations skills. Because we made a hole in the hallway for his attic access, he said he would come back later, after we make a access hole cover, to shoot his orange particles into our main house ceiling. Scott was very friendly and efficient! !